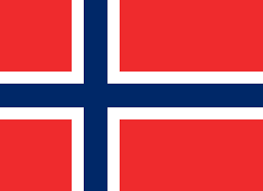 Norwegian Digital Identity outfit Signicat has been snapped up by investor Nordic Capital, with the latter promising it will invest in the company so as to expand the international take-up of its ID assurance and digital on-boarding toolbox solutions. Signicat was acquired from Secure Identity Holding AS and other shareholders; Viking Venture III AS, its other major shareholder, will re-invest all proceeds and continue as a minority owner, together with employee shareholders and with Nordic Capital as the majority owner. Financial terms were not disclosed. The 12-year old company has a marked presence in the financial services world, claiming clients such as DNB, Klarna, Rabobank, Santander, Société Générale and Western Union. It also seems to have reasonable overall market penetration, given that it claims to have 500+ clients, has connected to more than 20 ID schemes globally and verifies over 20 million transactions per month. However, it’s not exactly IBM – with only about €20m turnover, and only 115 staff – though it has presence in a number of key markets, from its base in Trondheim it has offices in Sweden, Finland, Denmark, Germany, the Netherlands, Portugal – and the UK. But this seems a great base to build on – hence the firm’s optimism about its change of ownership: “We live in a digital society where interactions between consumers and institutions are predominantly online and mobile-first,” stated the company’s CEO and co-founder, Gunnar Nordseth. “Trust is at a premium, and digital identity is the solution.